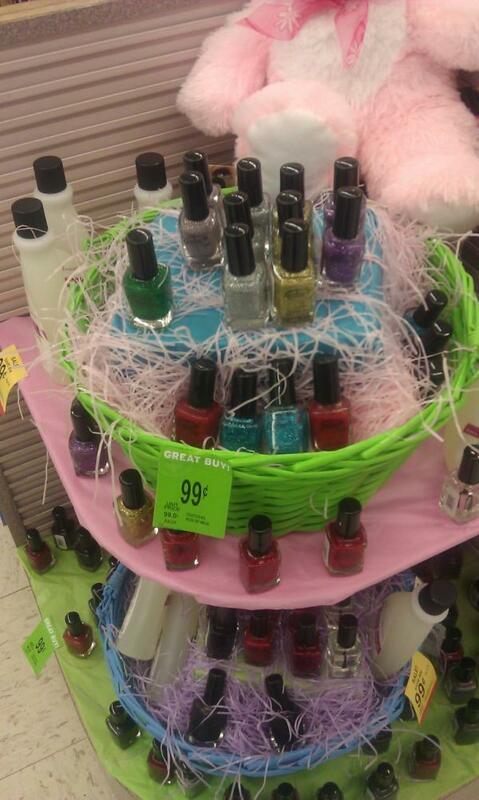 I Scored 99 cent Color Club Nail Polishes at my Walgreens? What’s that you say? I’ve lost my mind? Wait? I’ve gone….MAD? Oh no, this is not a dream. So I’m hitting up Walgreens for the new Sinful Colors Girls With Pearls Collection (which they didn’t have) & as I am walking fown the aisle I see a bunch of Color Club nail polishes. Imposters? Oh no, because I bought a set in a collection! The glitters on the top row, I spent like $10-$15 on it when it was clearanced! So who is doing this? Who is standing in a corner giggling as I put all of these in my cart to have them ring up as $8? WAIT! THEY DIDN’T! 99 cents a piece people. So what’s going on? I wanted to know the same thing, trust me. Would there be more? Should I be stalking them? Well here is what I figured out. Notice when I noted the collection I had already bought? Well here it is in a post I did in November, it is called the Glitter Vixen Collection. The mystery deepens no? Well, then I found some empty packages behind Mr. Bunny. Click! They are pulling past collections out, ripping off the packaging, & selling them as singles! You think I’m nuts? Ask Mr. Bunny, pretty sure he saw it all. There was a whole ‘nother wall of these too, but they were all repeat shades. 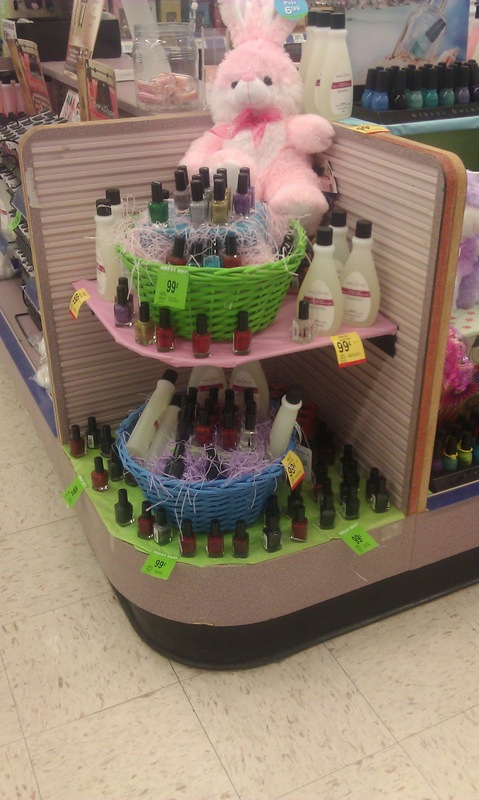 I BELIEVE I got one of each color besides the clear top coat…& the ones I already have of course. I did buy 2 of one shade I already have though for gifts. As I was checking out, the lady was shocked. I could tell she knew her nail polish….guess we know what she did after I left! If you see ANYTHING like this in YOUR local Walgreens, PLEASE let me know! I want to know if this is like…because my Walgreens is a rebel or if this happens sometimes? Definitely news to me! I will be posting pictures of all the polishes ASAP, first I need to find their names though & I wanted to get the word out first!